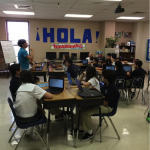 United Day School is a co-educational elementary and middle school accredited by the Texas Alliance of Accredited Private Schools (TAAPS) sponsored by the Texas Education Agency. United Day School founded in 1953, is a culturally diverse community dedicated to academic excellence and good morals. Our goal is to motivate all students to attain their highest levels of achievement supported by family, ethical and spiritual values. The administration, faculty and staff believe that every child will thrive and prosper intellectually, emotionally, physically and socially in the nurturing environment provided by United Day School. 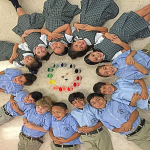 The Lamar Bruni Vergara Trust has impacted United Day School in many positive ways. United Day School sits on a beautiful 18-year old campus with facilities built in honor of Lamar Bruni Vergara. Generations of United Day School students will benefit from her legacy of kindness, generosity and foresight. 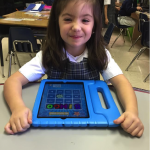 The Lamar Bruni Vergara Trust has afforded United Day School the opportunity to obtain the most cutting edge technology available, from Smartboards to Interactive Flat Panels to our Chromebook Pilot Program. Thanks to the generosity of the trust, United Day School is able to offer scholarships to students and families who desire the excellent educational opportunities that United Day School has to offer. United Day School and The Lamar Bruni Vergara Trust work hand in hand to provide our children with the gift of a great education.